Dr Alexandra Kolb has received the Society of Dance History Scholars’ esteemed Gertrude Lippincott Award, an annual prize for the best English-language article published in dance studies. Middlesex dance academic Dr Alexandra Kolb has been awarded the prestigious Gertrude Lippincott Award for her research into a traditional German folk dance. 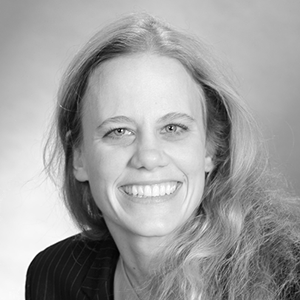 The annual prize is awarded by the Society of Dance History Scholars for the best English-language article published in dance studies and Dr Kolb, Associate Professor of Dance in the School of Media and Performing Arts, was naturally delighted to see her research named 2014 winner. Her article – The Migration and Globalisation of Schuhplattler Dance: A Sociological Analysis – addresses how the dance has been deployed to serve starkly differing cultural objectives and political ideologies. Drawing on concepts from nationalism, globalisation and multiculturalism, the research contextualises the dance as a source of national and regional identity. "I'm really delighted and pleased to receive the Lippincott Award. It was very interesting researching the cultural history of Schuhplattler, the German thigh-slapping dance," she says. 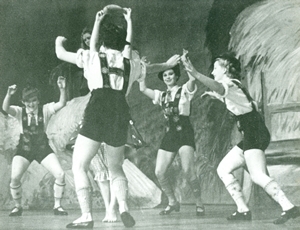 While the dance is often regarded as stereotypical of Bavarian cultural dominance over national representations of German folk culture, Dr Kolb convincingly argued that the dance's image needs to be reassessed from the more recent perspective of globalisation and transnationalism. "We may smile or laugh when we see the Schuhplattler because it is a fun dance with the thigh slapping and the costume, but the dance did go through a dark phase when Hitler claimed it as part of his Nazi ideology," Dr Kolb, pictured left, explains. "However, I learnt how it was reclaimed by people and communities from Germany and Austria, who escaped to the UK during the Third Reich or migrated to America for various reasons throughout the 20th century, and danced the Schuhplattler as a way of uniting their communities." Research into German folk dance is rare, and Dr Kolb believes this may be because its association with the Nazis means it was often held in low esteem. "It is great to have won this prestigious international award by countering stereotypes, and I am excited to be part of Middlesex which provides a stimulating research environment and helps make such cutting-edge projects possible." The Gertrude Lippincott Award is named in honour of its donor, a devoted teacher of modern dance in the Midwest and mentor to many students. It was established to recognise excellence in the field of dance scholarship. Image: A scene featuring Schuhplattler from the choreography Austrian Peasant Dances by Gertrud Bodenwieser, a well-known Jewish modern dancer who was forced to emigrate from Austria in 1938.